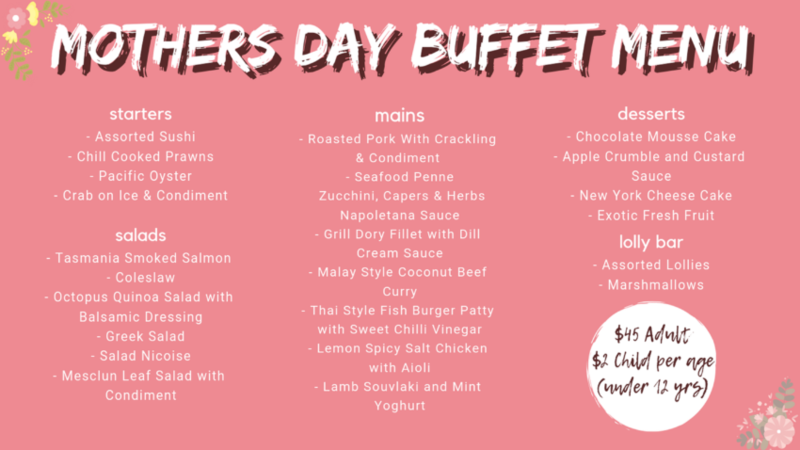 Introducing a special Mothers Day Buffet Luncheon this year with a huge variety of food including some of the freshest seafood. Unlimited food and special treats for the kids. Bookings essential on 8602 3707 or bombaxcatering@gmail.com. * One Free Alcoholic Drink for adults and unlimited tap softdrink. A deposit of $10 per person is required at the time of booking to secure your seat and don’t miss the early bird specials discount of 5% if you book before 21 April. Just want our normal delicious meals? 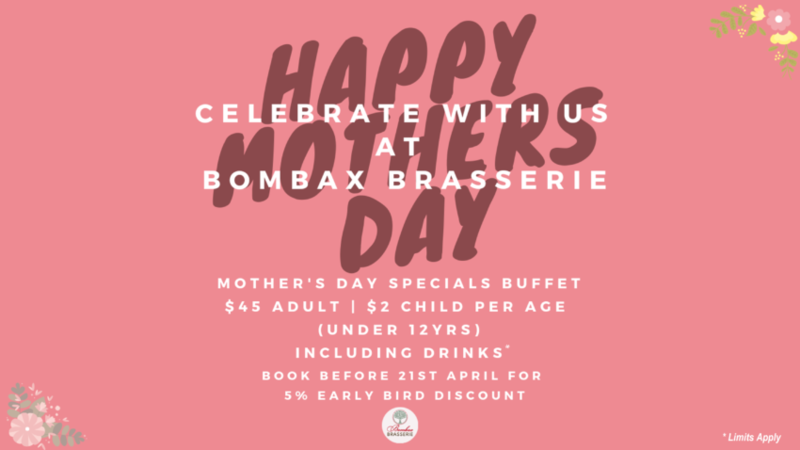 No worries as the Brasserie will be operating as normal all day and night on Mothers Day, but again bookings highly recommended. Bookings on 8602 3707 or bombaxcatering@gmail.com.